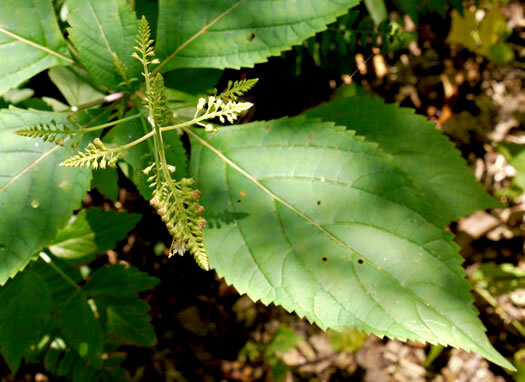 Leaves coarsely serrate, per Vascular Flora of the Carolinas. 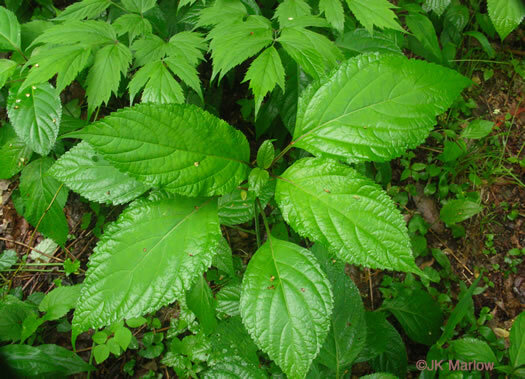 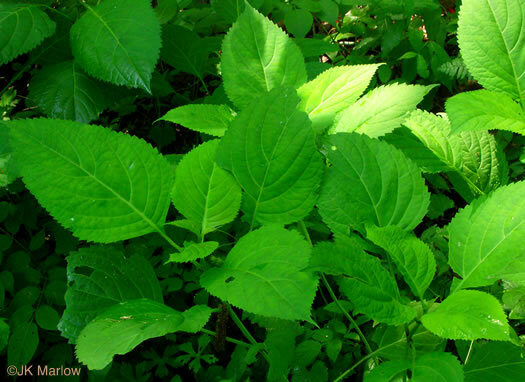 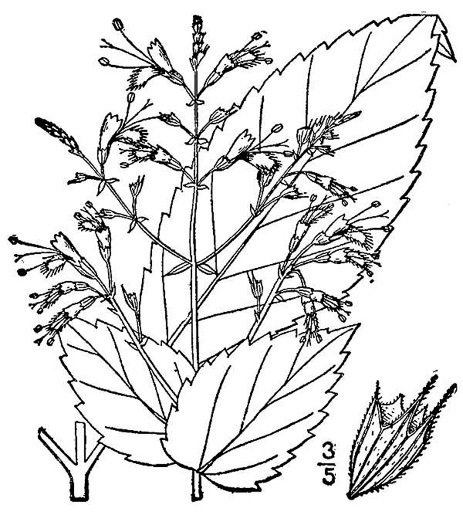 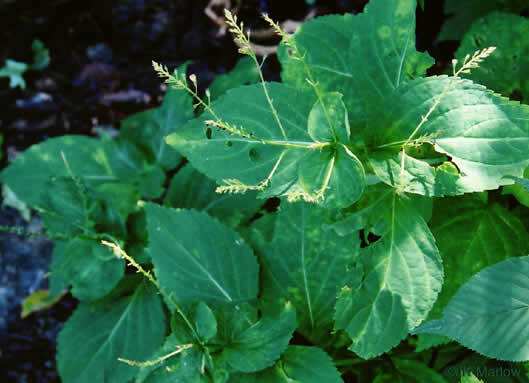 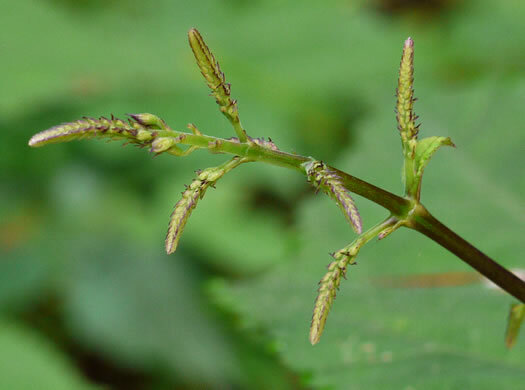 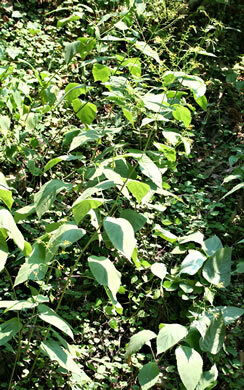 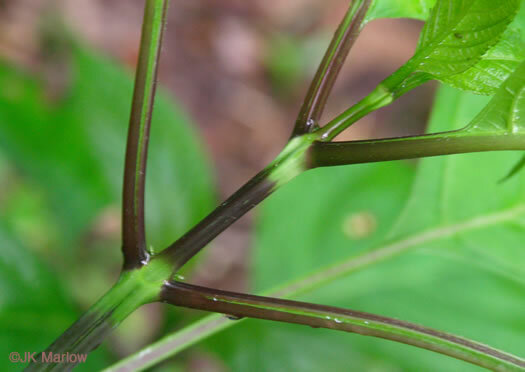 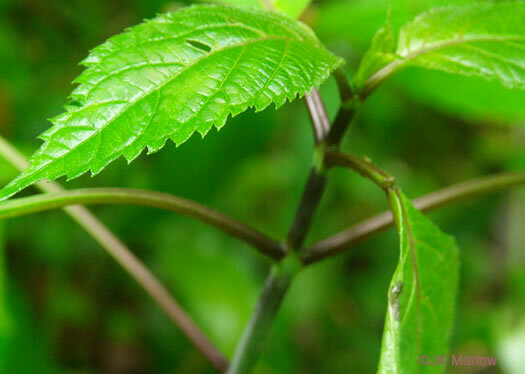 3 or more pairs of oval leaves, spaced rather evenly along the stem, per Wildflowers of Tennessee, the Ohio Valley, and the Southern Appalachians. 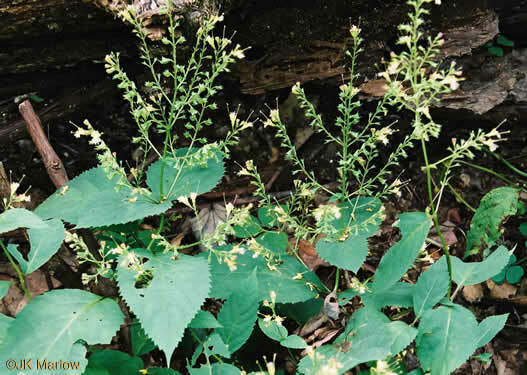 Calyx zygomorphic, 2-lipped, upper lip 3-toothed, lower lip with 2 long teeth, per Vascular Flora of the Carolinas. 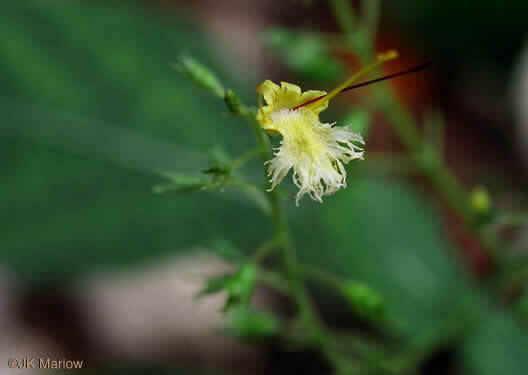 A 2-cleft long-exserted stigma and (usually) 2 long-exserted stamens, per Vascular Flora of the Carolinas. 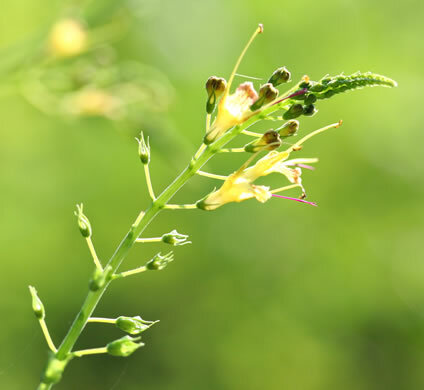 An open pyramidal panicle of lemson-scented yellow flowers, per Wildflowers of the Southern Mountains.